President of the National Democratic Movement, NDM, Peter Townsend, says he does not agree with the government’s decision to separate the National Contracts Commission, NCC, from the Office of the Contractor General, OCG. Public Service Minister, Horace Dalley, announced the pending change to the public sector procurement process, while making his contribution to the sectoral debate in the House of Representatives yesterday. Minister Dalley disclosed that the NCC will be separated from the OCG and given its own office and staff. But, Mr. Townsend says it only appears on the surface to be a progressive move. 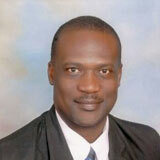 Mr. Townsend says the government’s decision to separate the two entities is cause for concern. Minister Dalley also revealed yesterday that the NCC will be renamed the Public Procurement Commission and that there’ll be a Public Procurement Appeals body where contractors who feel wronged, can seek redress. Last month, Transport and Works Minister, Dr. Omar Davies, announced that the 84 contractors who were denied the right to register or re-register with the NCC, had been given the green light to update their status. The contractors had been denied registration rights, some from as far back as 2009, due to a review undertaken by the police fraud squad. That review was prompted by a request by the Office of the Contractor General which asked the Fraud Squad to determine whether criminal charges should be pressed against the contractors. According to Mr. Townsend, the amendment which will allow contractors who feel wronged to seek redress, could facilitate corruption. The NDM Chairman says the new NCC mandate could also cost tax payers.